The relationship between diet and disease is complicated. However, studies have shown that particular dietary conditions are strongly associated with specific diseases. Certain breeds of dog are also more susceptible to certain conditions than others. Clearly the chance of developing the disease is greater when a known risk factor or more than one risk factor is present. Of course, not all dogs with a risk factor for a particular disease will develop that disease but it’s important to know the links between nutrition and your dog’s health so you can ensure a preventative approach through diet and exercise. Below are some of the most common canine diseases and their links to diet. Obesity is associated with increased risk of disease and reduced life span. The balance between calorie intake and energy expenditure determines your dog’s weight. If your dog eats more calories than he burns he’ll gain weight (the body will store the excess energy as fat). The opposite is also true – if your dog eats less calories than she burns she will lose weight. The same is true for us. The most common causes of obesity are overeating and/or lack of physical activity. If your dog or breed has a risk factor of obesity, then you need to pay close attention to how much food you are feeding (including the ‘occasional treat’ or table scraps.) In addition, make sure your dog gets enough exercise. Pancreatitis is the inflammation of the pancreas. This condition has several possible causes including breed, obesity, immune-mediated diseases such as IBD or allergies and other dietary factors. It is often blamed on high-fat diets though there is little scientific evidence to support this. Active, working dogs, such as sled dogs, can have as much as 60 percent fat in their diets without developing pancreatitis. That said, sled dogs are not genetically predisposed to pancreatitis whereas Cavalier King Charles or boxers are. Once a dog has had a pancreatic attack there is no option but to feed a low fat diet and very low fat diets usually mean faster healing time. Some dogs must consume a low fat diet for life. Others can return to a normal diet once the episode has passed. You can reduce the risk of pancreatitis by maintaining healthy weight and keep immune-mediated diseases under control. The term colitis is a general term referring to inflammation of the colon. There are many causes of colitis including diet, stress, garbage raids, infections and parasites and this can make diagnose difficult. Chronic colitis can’t be cured but it can be controlled and managed. It takes time, a good vet (an internist is best), medication, and dietary discipline. Although it is rare to have chronic colitis managed by diet only it can be done. This is achieved most successfully by using a novel protein source (something your dog has never eaten before), fat and various types and levels of fibre which often need to be ascertained via trial and error. Colitis can be quite individual, so if your dog suffers from this condition you have to be patient and watch your dog’s reactions. 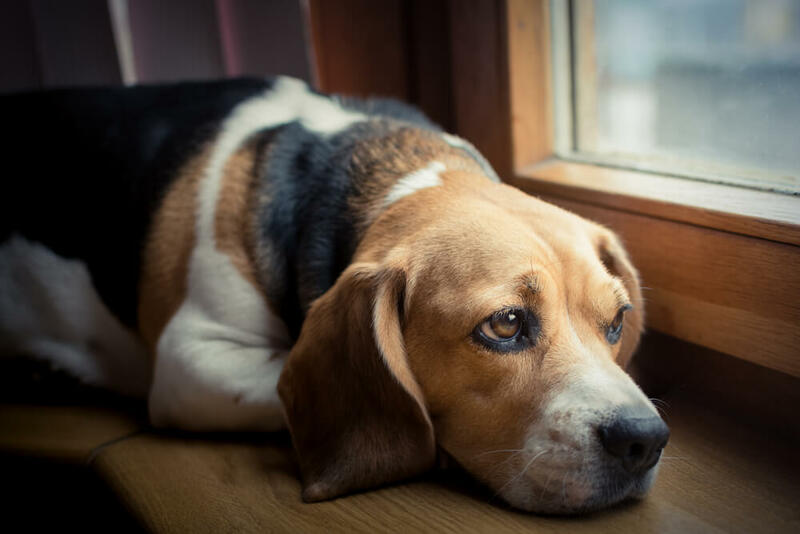 Nutritional imbalance is one of the common causes of bone disorders in young dogs – specifically deficiencies or imbalances of calcium, phosphorus, and vitamin D, all of which are important in creating and maintaining strong, healthy bones. Ironically, excessive dietary supplements have also been implicated in bone disease. It’s crucial to remember that your dogs need balanced nutrition and not piles of vitamin and mineral supplements – ‘just to be on the safe side’. Too much of the wrong thing can be just as problematic as too little. For optimal bone development your dog’s diets must include appropriate and balanced amounts of nutrients. Always consult an expert canine nutritionist before supplementing your dog’s diet. Have you ever noticed your dog scratching more than normal or chewing/licking at his legs and paws? If so, he might have food sensitivities or allergies to something you are currently feeding him. Dealing with food allergies can be challenging and disheartening. Although there are blood tests that are said to determine food allergies in my experience they are usually a waste of time and money. If your dog suffers from allergies or food sensitivities, you need to be methodical and patient. Instead of expensive and often inconclusive testing start your dog on an elimination diet. An elimination diet is a way of identifying foods which your dog is intolerant of. Start out by feeding a single protein source and a single carbohydrate source your dog has not consumed in the past. Once your dog is doing well on this diet, you should introduce supplements one at a time to arrive at a balanced diet. Once this is done it is possible to begin introducing other foods.